The Scarritt Bible and Training School was founded in Kansas City, Missouri, in 1892. 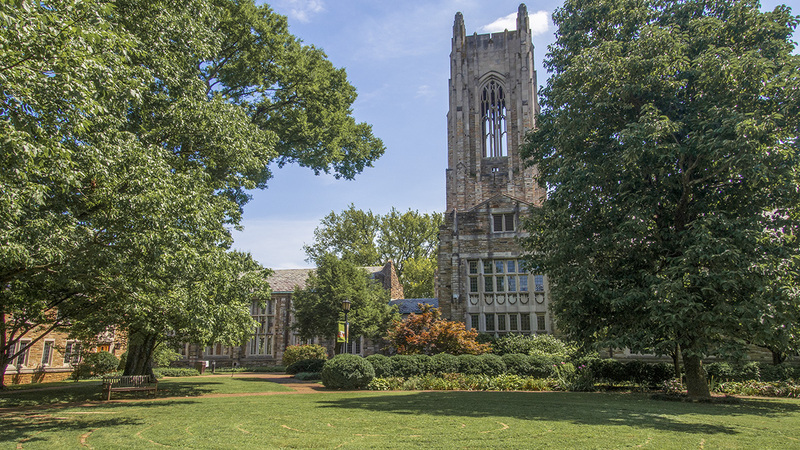 It moved to Nashville in 1924, where it became co-educational and offered several degrees related to public ministry. 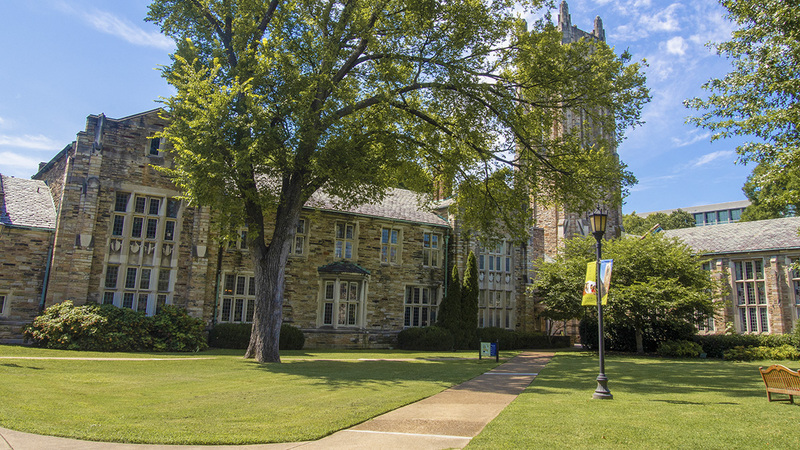 The ten-acre campus occupied the better part of a rectangular city block approximately 1.5 miles from downtown. 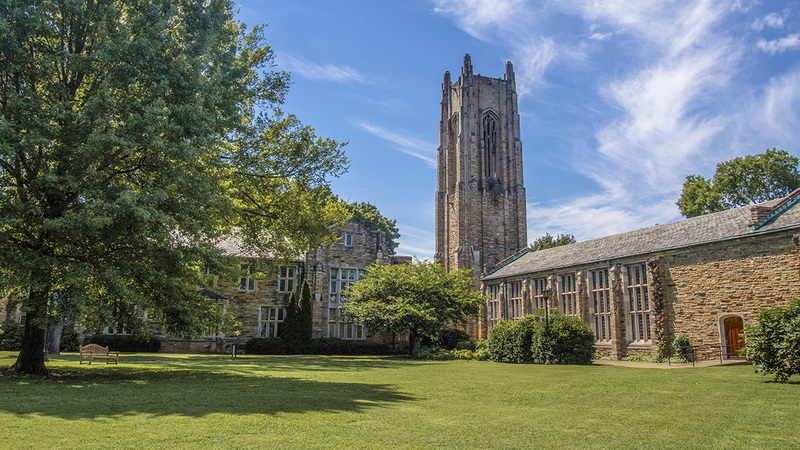 It was designed by local architect Henry Hibbs in the Gothic Revival style. The first five buildings, including the iconic Memorial Tower, were constructed of yellow Crab Orchard stone between 1925 and 1928. 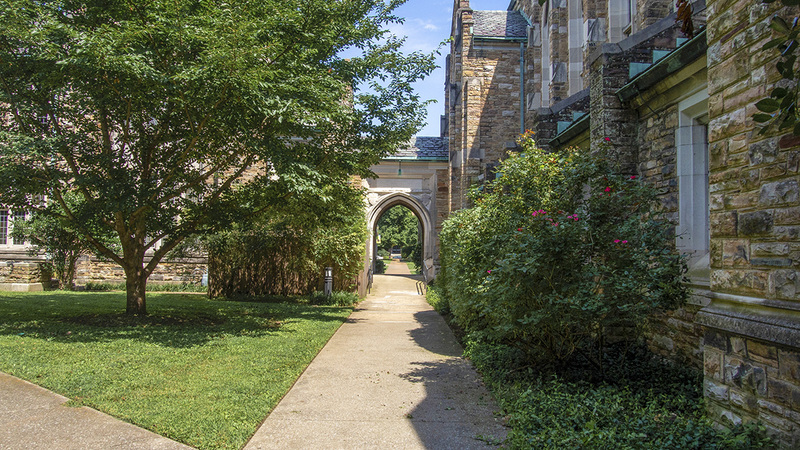 The buildings were sited in a rectilinear arrangement, creating two expansive lawns to the front and rear of the centrally located Bennett Hall. 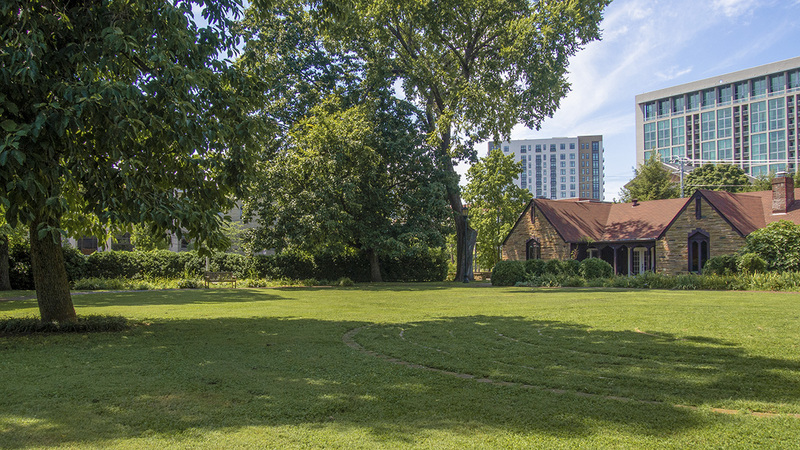 The lawns are crossed by diagonal walkways that pass among a variety of trees, including maple, Yoshino cherry, southern magnolia, crab apple, dogwood, oak, and ash. 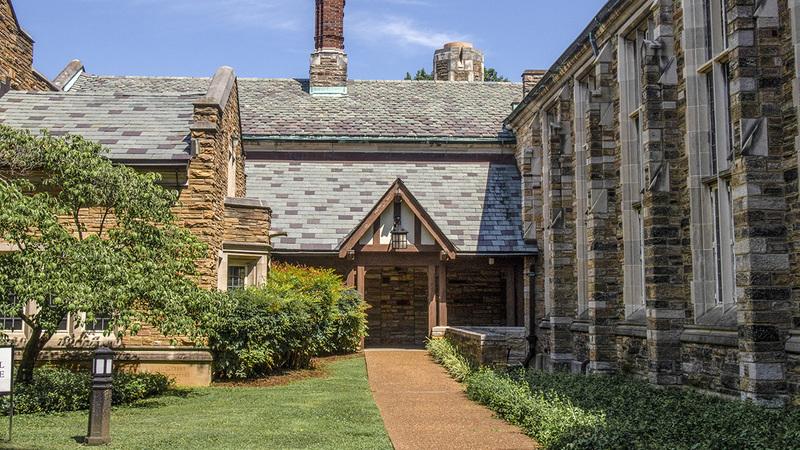 Six buildings were added to the grounds between the 1940s and the 1960s, and a log cabin, built in 1802 and serving as a Methodist meeting house in Sumner County, Tennessee, was reconstructed here in the 1930s. Located beside the Gibson Residence Hall at the northwest corner of the campus is the circular Helen Baker Price International Garden, designed in 1966. The centerpiece of the garden is a labyrinth created in 2004 by Reverend Battle Beasley and formed by rings of bricks bearing the names of past teachers, friends, and mentors of the school. 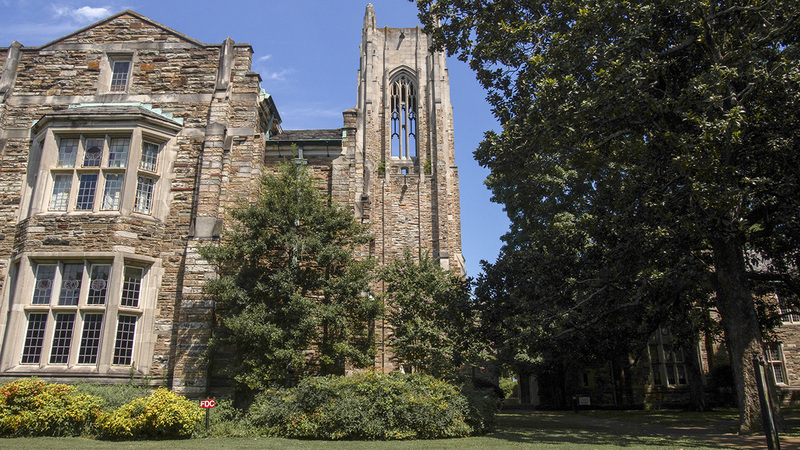 After the Scarritt Graduate School closed in 1988, the site was purchased by the Women’s Division of the United Methodist Church and renamed the Scarritt Bennett Center. 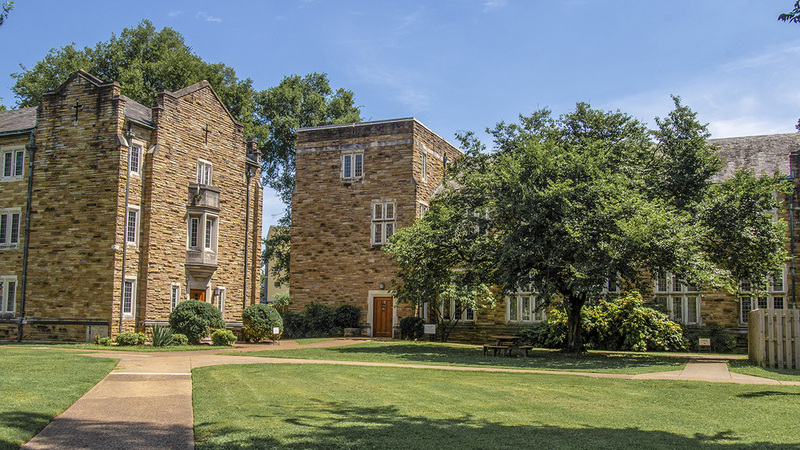 The Scarritt College Historic District was added to the National Register of Historic Places in 1982 and includes the five original buildings designed by Hibbs.